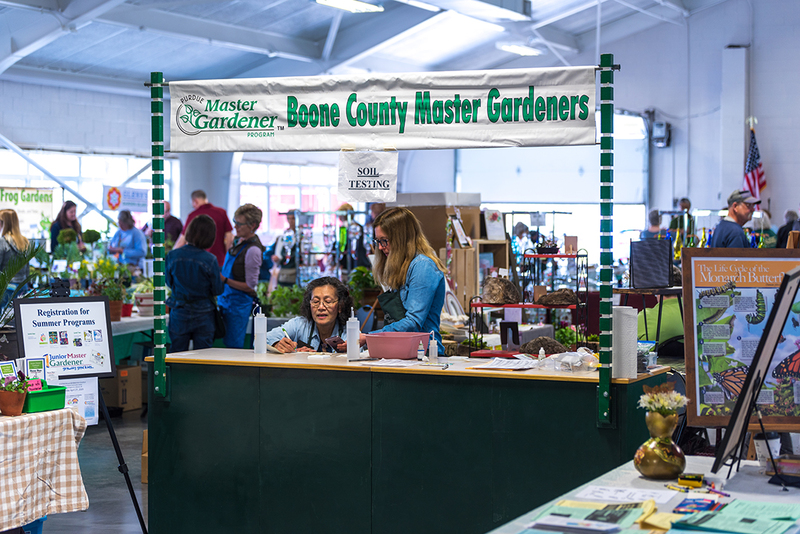 Two dozen exhibitors offered plants, gardening advice, arts and crafts and more. 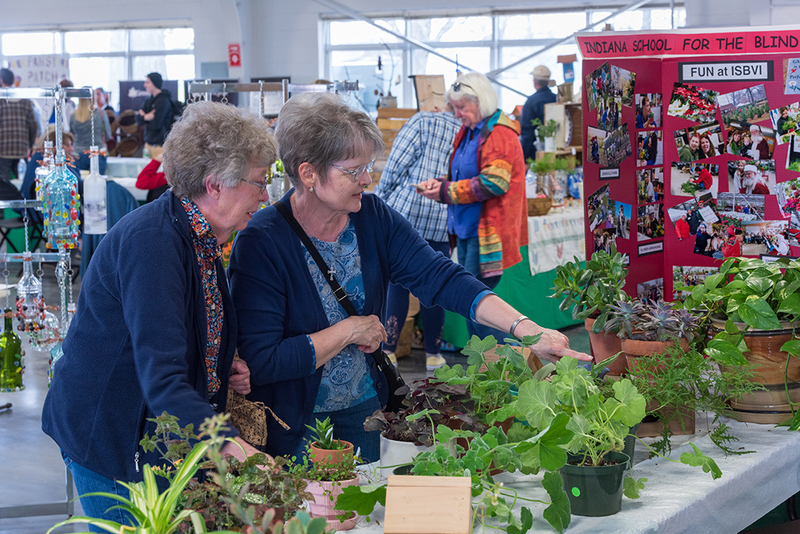 Della Logan from Frankton points out a houseplant she is interested in to her friend Janis Winkler. 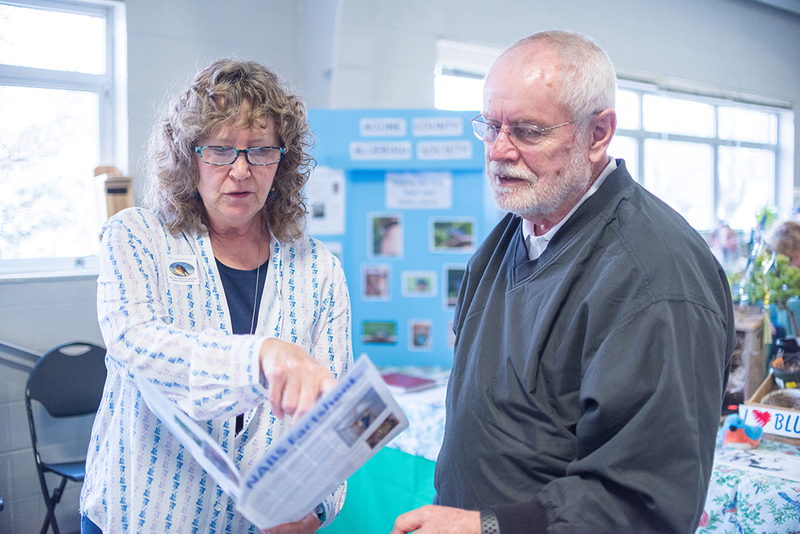 President of Boone County Bluebird Society Christy Frampton discusses a handout about bluebird conservation with bird enthusiast Joe Fisher of Indianapolis. 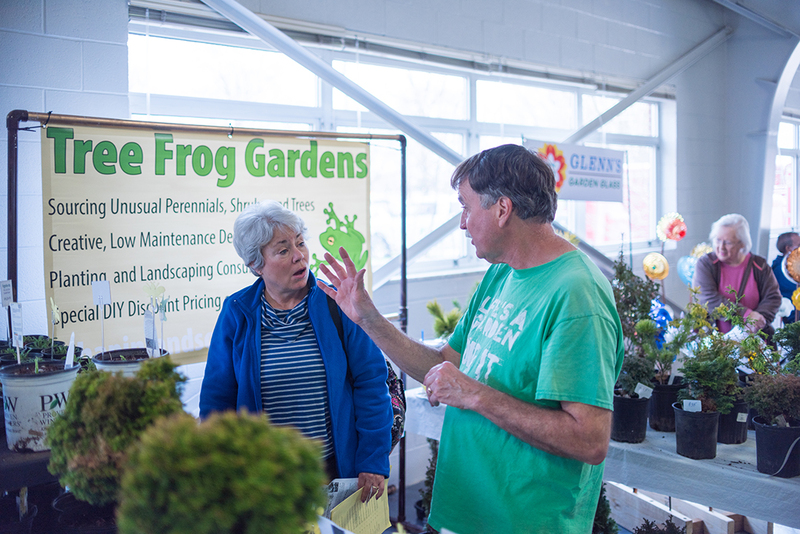 Owner of Tree Frog Gardens John Chapin gives planting tips to Carmel resident Carol Wood for her newly purchased phlox and monkshood perennials. 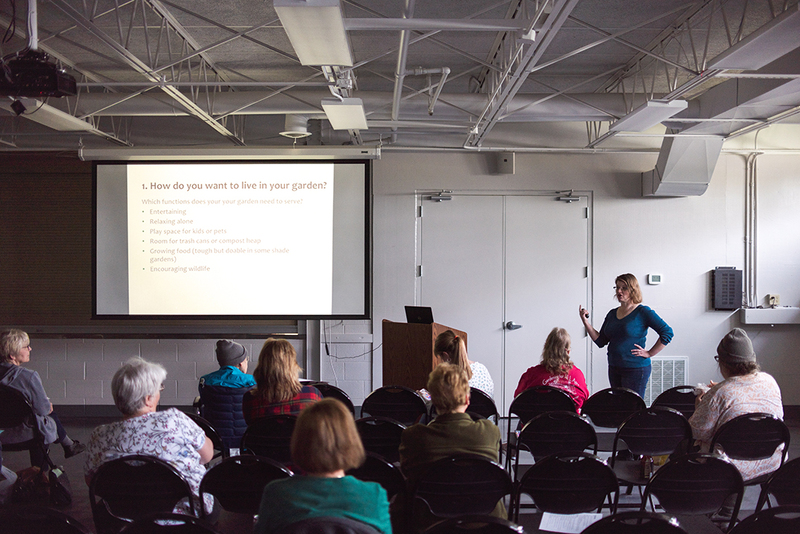 Gardenfest Purdue Extension Master Gardeners Program featured three guest speakers. Guest speaker Amy Muller discusses the different ways in which people typically use their garden and how important that is when designing a finished outdoor space.